28th February 2017 - No Comments! 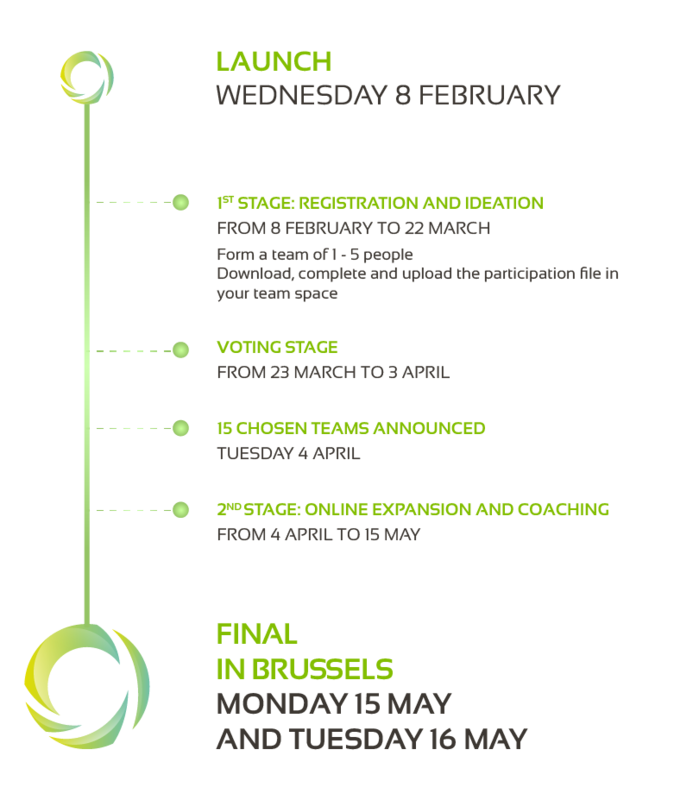 Further to 2015’s success, ENGIE is coordinating their Decarbonathon for the second time, with support from EIT Climate-KIC. The challenge this time focuses on Internet of Things (IoT) for Greener Cities – leading to a two-day hackathon event in Brussels on 15-16 May 2017. EIT Climate-KIC are supporting this event together with NPL (National Physical Laboratory) and EnergyVille, a new European research and development centre that combines digital and new energy technologies. IoT or connected objects have a good potential for innovation and represent a serious asset to reduce global CO2 emissions. IoT is growing rapidly in health and in digital sectors. By 2020, the IoT market could represent US$90 billion. IoT could be a source of numerous smart solutions to reduce the environmental footprint of houses, buildings and transport in cities. This challenge is open to startups or students about to graduate. The teams are expected to provide new, digital and smart solutions based on IoT and to other IT innovations to tackle climate change. The competition comprises three categories: smart solutions for households, smart solutions for energy-efficient buildings and sustainable mobility in an urban environment. You are a start-up founder? A student with a great idea? An innovative project holder? Everyone can offer innovative solutions to limit global warming, especially by reducing CO2 emissions in cities. Why not you? We are looking for innovative uses for the Internet of Things to help reduce our cities’ environmental footprint. You are free to submit, in teams of 1 to 5 people, innovative ideas to improve or imagine any solution and business model based on the Internet of Things in cities to reduce the environmental footprint of their citizen and activities. Give free reign to your imagination and put forward an innovative and relevant project. As a first step, please complete the short presentation file that you can find in the ‘guidelines’ tab and in your participation space. If you are selected as one of the 15 finalists, coaches will be available to help you prepare the file for the presentation to the prestigious jury members. The on-line expansion and coaching phase will give the finalist teams access to a team of experts from the different challenge partners. During this period, the finalist teams can discuss any technical or business related challenges they have with this team of experts. This coaching phase aims at further developing the team’s solution and in particular assist in replying to the five criteria (see Guidelines) that will be used by the jury in their evaluation on the 16th of May. There is no time to waste, so rise up to the challenge and join or create a team! The 15 laureate teams will have access to coaching from the partners to scale up their solution. They will also have the opportunity to pitch their solution before experts, such as European corporate managers and public and private organisations including EIT Climate-KIC and the World Economic Forum. Three finalists will have the opportunity to present their project during the ENGIE innovation week, in June 2017, and get their project incubated, alongside a €10,000 case prize.